It’s a great time to be an owner in Quincy, says Amanda Dumont, vice president of marketing and sales at Brooks Brokerage. Easy access to Boston via the Red Line has always been a big perk for Quincy dwellers, but the state’s eighth-largest city is becoming a destination in its own right. Meriel Marina Bay, a 352-unit apartment building, will soon bring 20,000 square feet of retail, and Quincy Center is poised to receive more housing, retail, and offices in the next few years. For buyers who’d prefer to have a home away from the hustle and bustle, Squantum still has plenty of single-family houses to choose from—and waterfront views to be enjoyed. “If you’re not living on the waterfront, you’re walking to it,” Dumont says. Starting in the early 19th century, Hull provided a summer playground for Greater Boston, luring everyone from Ralph Waldo Emerson to Calvin Coolidge to the shores of Nantasket Beach. The town has since blossomed into a thriving community that keeps some of that vacation-mode mindset all year long. 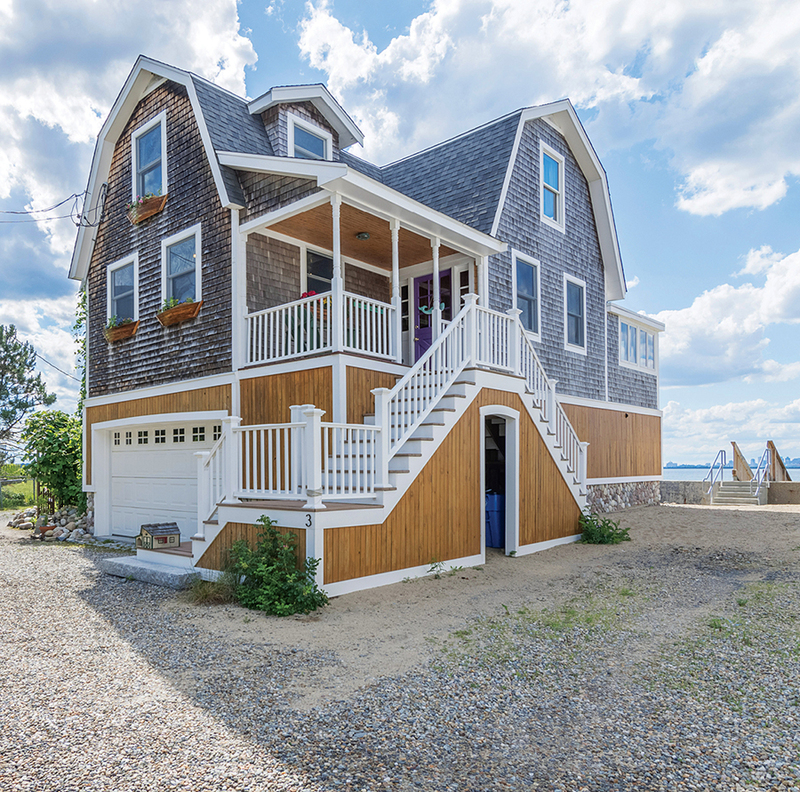 “You see a lot of people buying what used to be cottages and doing them over and making them year-round single-family homes,” says Brian Molisse, owner of the South Shore’s Molisse Realty Group. Those homes make Hull the rare place where you can enjoy both sea air and skyline views at a relatively affordable price. Especially scenic vistas wait at Windmill Point, which also happens to be the site of both Hull’s high school and the terminal where commuters board the ferry for a quick ride to Boston. See more from Top Places to Live 2018.